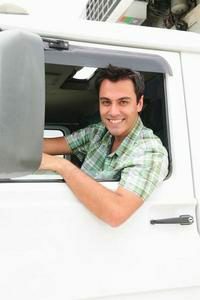 Anyone who gets behind the wheel could find themselves facing driving-related legal issues, but for commercial drivers, the stakes can be unusually high. Due to stringent regulations on both drivers and carriers, traffic violations can result in fines, license suspension or revocation, or even a loss of a driver’s livelihood. To help keep drivers on the road, CDL legal insurance has grown in popularity in recent years. These prepaid legal plans are, in short, coverage for a number of the legal costs that can result from moving and non-moving violations. The more comprehensive plans also include coverage for personal legal issues and for family members. Even the safest driver may need legal assistance at some point in his or her career. Being subjected to more traffic laws and spending more hours driving mean that professional drivers are more likely to be cited for a violation than the average driver. Faced with legal issues, drivers may have to spend days off the road in court, potentially costing them hundreds of dollars to protect the CDLs that protect their jobs. Companies are also at greater risk, facing a loss of their investment in drivers and costs to replace drivers who have lost their CDLs. With the likelihood that legal issues will arise — and have widespread consequences — the need for a preventive strategy to protect commercial drivers becomes clear. At U.S. Legal Services, we created our CDL Defender™ to help professional drivers and their employers be prepared to manage legal issues when they come up. Our network attorneys understand the challenges that the FMCSA’s CSA program and increasingly stringent regulatory environment can create for commercial drivers. Our legal insurance plan is comprehensive, covering pre-existing matters, Data Q challenges, a number of personal legal issues, and even financial coaching and identity theft protection. Learn more about how companies can protect their investments and drivers can protect the source of their income with the CDL Defender.